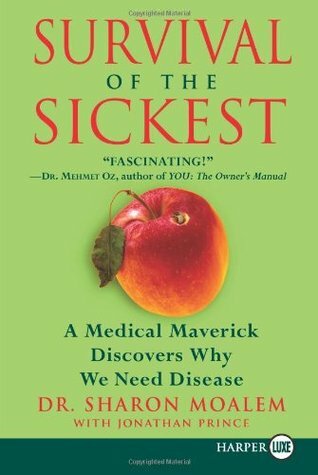 Our lab’s August 2016 Book Club selection was the Survival of the Sickest by Sharon Moalem and Jonathan Prince. The book has been extensively reviewed since its 07 publication and is a staple of undergraduate book discussions in Biology. Overall the book is a quick read, summarizing interesting vignettes about how seemingly deleterious alleles get selected over evolutionary time. Nice discussion theme – illustrating how evolution tracks unexpected paths. Especially for a general reader, it is important to note that many of the associations discussed in the book are anecdotes. A causal link between diabetes & cold tolerance, hemochromatosis and plague resistance etc. have not yet been established. The section on transposons (“jumping genes”) and mutations are fairly high on inaccuracies. Even the wikipedia entries on transposons will help clarify what we really know. Especially irritating is the broad oversimplifications regarding the immune system. We understand a great deal of molecular detail about how immune cell receptors are generated in vertebrates today … and they are not by transposons. Similarly, the “aquatic ape hypothesis” is not just controversial, but it has failed to gather data to support it. It is risky in evolutionary thought to “wish it were so”.. when the fossil record or molecular genetic data fails to back you up.